Auto maintenance is something that’s required, but it’s something that nobody really wants to do. Thankfully there are reputable auto mechanics in the area like Clark Automotive who are experienced and well versed in all different types of automotive repair. As we head into the colder driving months, it’s vital that you have a properly functioning radiator. In this blog we’ll detail the importance of a properly functioning radiator and point out some of the signs that you may need to reach out to a radiator repair shop near you like Clark Automotive. Located in Blaine, Minnesota. What is the Primary Function of a Radiator? If you’re not well versed in auto repair, you may not understand the importance of a properly functioning radiator. A radiator helps to keep your car from overheating by pumping coolant throughout your engine. A radiator is vital to ensuring your engine is running properly. A bad radiator can cause your engine to overheat, and ultimately fail. Below are a few early signs that you may need a new radiator. 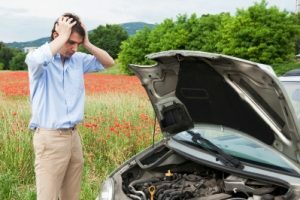 Your Vehicle Overheats – If your car is overheating often, it’s likely that your radiator isn’t functioning properly. The radiator is the primary way that your engine coolant is cooled. It’s best to get your vehicle looked at as soon as you notice it starting to overheat to prevent more costly auto repairs down the road. Leaking Coolant – If you notice your vehicle leaking it’s important to understand what is actually leaking. If you suspect it’s coolant, then it means you have a radiator problem. The ASE certified mechanics at Clark Automotive can run a pressure test to determine if your radiator is the issue. Low Coolant Levels – If you find yourself constantly having to replenish your coolant tank, it could be that you have a leak in your radiator. Don’t continue to drive around town with the threat of your vehicle overheating. It’s best to bring your car into the experienced and certified mechanics at Clark Automotive today. We have decades of experience and will never try to sell you any type of auto repair that you genuinely don’t need. To find out if your radiator needs to be replaced, feel free to give us a call today at 763-784-7944. We’ll give you a free estimate to help get you back on the road as quickly as possible.